Have you ever wanted to get away & find a peaceful spot on the river? 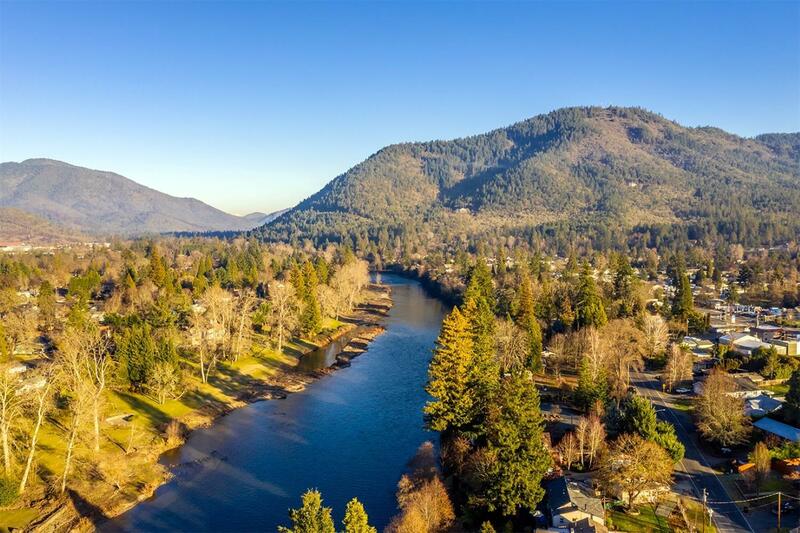 This immaculate home is overlooking the majestic Rogue River, where privacy and tranquility greet you at the electric gated entry. Featuring 2 master suites, one with heated bathroom floor, a loft which could be used as a 3rd bedroom/study/hobby space, lg open kitchen w/ island & a great room w/vaulted ceilings, floor to ceiling rock fireplace & massive amounts of windows, to take in the fabulous views. 2 decks, hot tub, a concrete patio w/ 12X14 covered gazebo-- perfect place for entertaining! The drive-thru garage w/room to park 4 cars, has 220 & air car hoist. There is a sun room, lg storage room, could be perfect wine cellar, beautiful wood accents, new carpet, new exterior paint & so much more! Directions: Take the Grants Pass Parkway to Parkdale, then turn left on E. Park Street. Home is on the left side, behind the electric gated entry.